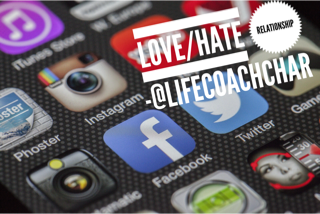 I have a confession: I honestly have a love-hate relationship with social media. I will admit that I have been and probably always will be slow to opening up to new things (and people) as it relates to social media. I have learned to make room for it in my personal life as well as my business because it has taught me so many things. I get to catch up with family and friends that I don’t get to see often as well as connect with new people through common interests we share. It serves as a great break time activity when you have been glued to the computer at work for the last 5 hours. It provides comic relief with the silly memes people post and encouragement posts that push you to keep going. The one thing I don’t like about it is that it has, in some instances, blurred the lines between what is fantasy and what is reality in people’s lives. It has also made it increasingly difficult for people, especially our younger generation, to develop and maintain the necessary skills of being able to engage with others in heartfelt, open face to face conversations. I have learned, though, that social media is what you make of it-if you make room in your life for it. Therefore, I have decided to enter into a ‘love’ relationship with one. Meet my new favorite social media friend, Instagram, AKA IG. Just a few short months ago, I was telling friends that I really didn’t like IG. I guess I had to get to know it better-like any worthwhile relationship. It isn’t because I am scared of the technology era. I have been using computers for over 27 years, dating back to as early as 3rd grade. 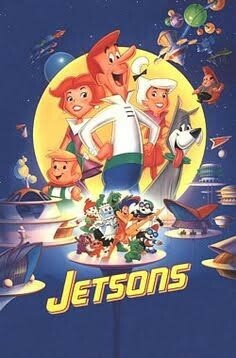 I actually look forward to the day that this earth will function as the Jetsons did. I loved that show! As I began to use IG more and played around with it, I observed how different people used it. It has been beneficial to me (and you, which I will share in a minute) in connecting me with others and has served as a tool for learning more about various topics. In essence, as I made room for it in my life, it has helped me to ponder, reflect and grow. However, this is not a PSA for social media or IG per se. Sorry to disappoint you. Here’s where it benefits me…and you. Recently, while scrolling through the posts of those who I follow, I read a post from another female life coach. She was talking about how when women coming together to heal, rebuild and love other women, they are powerful. Essentially, this is what I want to do through Ladies in Waiting, my blog community. She also talked about how she was one of the women who always said she didn’t “deal” with women because they were too much drama. Yet, as she began to make room in her life to build a business, she began freeing up her space and eliminating things/people who were not contributing to the positive space she was creating. She realized she had finally made room to attract the things/people that contributed to this new space. One question she asked that got me thinking is one that I will now ask you. I will sip my tea as you ponder that thought. I mean really allow it to twirl around in your mind for a few minutes, marinate and then settle in your heart. You are waiting on your dream home or vacation. Have you cleaned up your credit and made room in your budget to start saving for it? That may mean making some sacrifices on some “wants” and foregoing the next 6 months of going to the mall or going out with friends to eat. You are waiting on an acceptance letter from a school, program or opportunity. Have you made room in your mind and your heart, asking the Lord to prepare you for the intensity of this program/opportunity? Have you made room in your schedule in order to make sure you have a healthy work-life balance to avoid being burned out? You are waiting on a husband. Have you made room in your heart first, to allow Jesus full access into those bad habits, nagging ways, and selfishness so that He can address and work on those things with you? You do know that this union is to be a reflection of His relationship with the church, the body of Christ, right? He can’t have you representing it or Him any kind of way. I’m just saying! You are waiting on God to move you out of state. Have you made room in your current physical space, getting rid of things that no longer serve you, knowing full well that you cannot take it with you anyway? Are there people that can use this stuff because you haven’t used it in the last 5 years? We have been asking the Lord for things and have been waiting to receive it. We’ve been wondering why we haven’t received it yet. Perhaps your life is too cluttered right now and you don’t even have the room or capacity to fit in what you have been asking the Lord for. The posture for receiving something is palms up and hands out. You cannot really receive anything He wants to give you without first releasing things and people who have been taking up unnecessary space. It is time to make room. What do I need to eliminate or give up in order to make room to receive what I have been asking God for? In what ways can I free up some space in my heart and mind right now while waiting to receive it? What/who has He been prompting me to release so that instead of closed hands, my posture can be palms up, hands out?